At this year’s EICMA motor show, Aprilia caught everyone’s attention with its stunning concept called the RS 660. 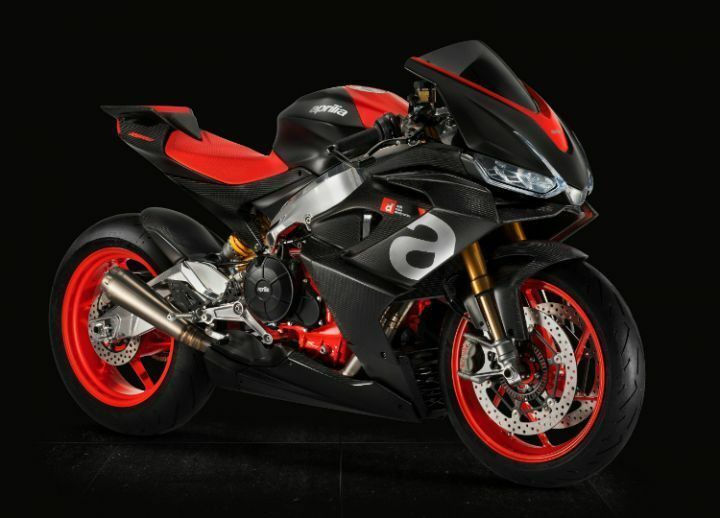 At the show, Aprilia revealed that the Rs 660 will be powered by a parallel-twin motor derived from the V4 unit that powers its flagship model, the RSV4. Now, the much-anticipated middleweight sports bike has been spotted testing at Italy’s Vallelunga circuit. More importantly, there were two different versions of the motorcycle at the circuit and that has piqued our curiosity immensely. Aprilia has been tight lipped on the final cubic capacity of the RS 660. However, we guess it would be below 650cc, which would then make the bike eligible to take part in motorsport events such as the Isle of Man TT’s Lightweight class. The parallel-twin motor is touted to make close to hundred thoroughbred Italian horses. That is some serious grunt considering that its main rival, the Kawasaki Ninja 650, makes just 68PS. This engine will also come with the gamut of electronics that the RSV4 comes with as standard, pushing the envelope of performance that much further. At the circuit, Aprilia seemed to have been testing two versions of the RS 660. The first one bears elements such as rear view mirrors, a tail tidy and necessary lighting systems that are necessary for road-legalisation. The other images depicts the same motorcycle sans all of the above elements and more which are of no use for racing. This suggests that Aprilia will be making a regular version as well as a homologation special motorcycle. Norton has used this very same formula with the Superlight as that too makes use of just the forward two cylinders of its larger V4 RR sportsbike. Perhaps, Ducati would be going down the same route as well. The parallel-twin motor opens up a lot more avenues for Aprilia as it could be used in several other platforms such as nakeds, adventure tourers and even a supermoto! Wish Aprilia does give us a Dorsoduro 660 with around 90PS. Wouldn’t life be better then?